Ruling Fidesz has sacrificed Hungary for its arrogance of power, no-compromise policies and unbridled hunger for money, conservative opposition Jobbik said in reaction to a European Parliamentary vote in support of the launch of article 7 against Hungary. Prime Minister Viktor Orbán has clearly suffered a defeat and the seriousness of the decision is demonstrated by the fact that many members of the European People’s Party, of which Fidesz is a member, and Orbán’s “direct friends and allies” also supported the proposal, Jobbik said in a statement. 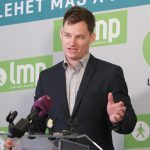 Green opposition LMP on Wednesday placed blame squarely on Prime Minister Viktor Orban and his Fidesz party for the European Parliament’s approval of the Sargentini report calling for the launch of a sanctions procedure against Hungary. LMP said in a statement that the report makes “numerous accurate and serious points about the state of the rule of law in Hungary”, adding, however, that only the Hungarian people had the power to “restore the rule of law”.The party said losing voting rights in the European Council would ultimately hurt Hungary, rather than the government, adding that whether the Article 7 procedure is launched would now be “Viktor Orban’s responsibility alone”.LMP noted that its MEP was absent from the vote. The European Parliament has made a “historic step” by approving the Sargentini report on Wednesday, opposition Socialist MEP István Ujhelyi said. In a situation like this, in a “normal democracy” the government would voluntarily resign “because of what it has done against Hungary,” he told a press conference in Brussels. Ujhelyi described the decision as convincing, made by a firm majority and spanning over various party families. Benedek Jávor, an MEP of the opposition Párbeszed, said the outcome of the vote showed that the majority of the European People’s Party, of which ruling Fidesz is a member, also agreed with the conclusions of the report. The report criticised the Hungarian government for its actions that violate the interests and rights of the Hungarian people, he added. The European Parliament has made a “very important” decision, which clearly indicates that its majority “firmly rejects” the Hungarian government’s policies, Péter Niedermüller, MEP of the leftist Democratic Coalition (DK), said on Wednesday. The decision was “neither victory nor defeat but encouragement to the Hungarian people suggesting that they can resist and change politics”, Niedermüller said. 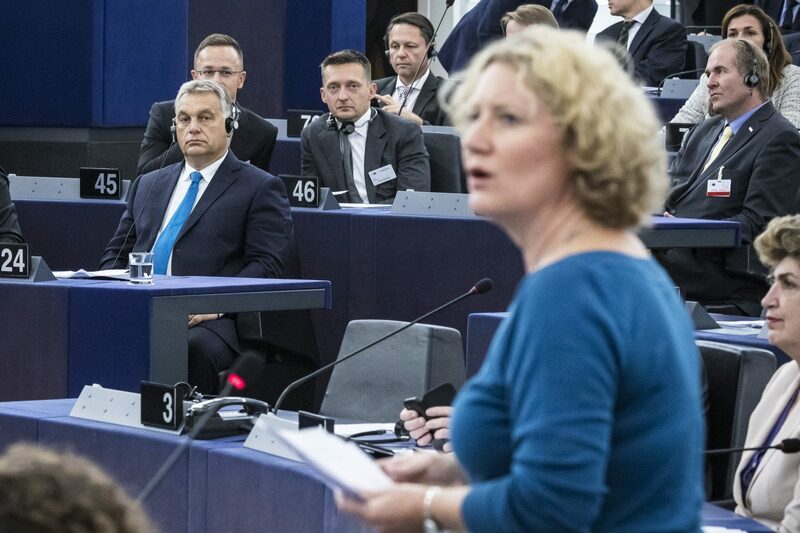 “Naturally I don’t think it is good that such a decision was made due to the Hungarian government’s policy but it is a very important signal that the Orbán government must pursue different policies,” the MEP said. Niedermüller called it important that leaders of the European People’s Party (EPP), of which Hungary’s ruling Fidesz is a member, also supported the report, and said it indicated that Prime Minister Viktor Orbán was now isolated in his own camp. Meanwhile, DK spokesman Sándor Rónai called on the EPP to exclude Fidesz, at a press conference in Budapest. The Hungarian Liberal Party said on Wednesday that the EP’s approval of the Sargentini report is a win for democracy in Europe. A large majority of MEPs said no to the Orbán government’s illiberal policies, the party said in a statement. The MEPs have “stood up for European values, the rehabilitation of the rule of law and democracy in Hungary, and the Hungarian people,” the party said. They have also declared that they do not tar with the same brush Hungary and Prime Minister Viktor Orbán’s illiberal government, the statement said. Orbán and his Fidesz party have been dismantling Hungarian democracy and the rule of law for years, endangering in the process the country’s EU membership, they said. “Anyone who says that the report doesn’t condemn Hungary should read its title. It’s not about condemning the Hungarian government but Hungary”, Orbán said.